Another fantastic week to welcome me home. So many milestones reached or within reach. I’m back over 2% ROI in total, over $100,000 profit for the year, over $250 per day profit and was 18 seconds away from reaching the half way point of this journey. But the NFL betting gods decided to make me wait at least another day before letting me reach that $500,000 total profit mark. It could come tomorrow or it could come a year from now, and while it is an insignificant number in the scheme of things, it will have a huge impact on me. 5 and a half years ago I assumed my $50,000 bank ($25k starting and $25k back up) would be gone within the year. The safe thing to do was to put it into stocks and let it double every 10 years. But who likes safe? I sure don’t. It has taken 5 years and 5 months to 10x my initial capital, it would take 35 years to get the same return with stocks. When done right (and it rarely is), betting outperforms any other financial vehicle. First a shout out for any other profitable bettors who use maths based models to make a profit. Jodie Noyce from the 7:30 report on ABC is looking to chat to you. She is keen to do a serious of betting related segments and would like to hear from anyone who makes a profit betting their own models. You can contact her via email and share your story. Lots of other interesting stuff happening at the moment but nothing I can share just yet. Onto this weeks massive wins and we start as always with Sportpunter. NBL continues its resurgence with another $3,410 profit. The NHL lost $1,000 this week and the NBA once again had a stellar week with $9,350 profit. The NFL frustrated me this week and while $6,000 profit was made, that could have been $20,000. The one that hurt the most was the Under 49 in the Giants v Tampa Bay game. The Giants were 20-18 up and scored with 18 seconds to go. I thought, that’s fine, they will kick off and make a tackle and the game will be over. But instead Tampa Bay took a leaf out of the college playbook and started throwing the ball around like it was an NRL game. They dropped the ball, the Giants picked it up and strolled in for a touchdown as time expired to win the game 32-18 and beat the under by a single point. I don’t think betting and sports will ever stop amazing me. All up, another fantastic week for the SP models. 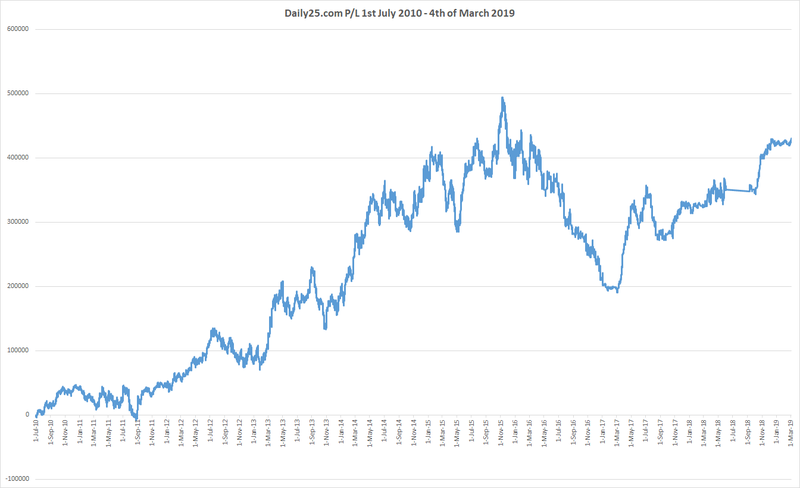 Dailyprofit members keep ticking things over, nothing spectacular but when you expect a long term ROI between 1-4% you can’t expect fireworks every week. A slow steady grind. The site is closer than ever to reaching its quota, so hurrah, you won’t see me marketing it to you all the time. If I didn’t know any better I would think I had stumbled onto the Golden Goose with the Soccer combo model. Another $17,050 profit this week and after 171 bets I am sitting on a 24% ROI. We all know this model will revert back to a more sensible ROI, but I’ll be riding it for as long as I can. The Golf tipsters both lost a combined $900 and my own personal betting lost $3,300. The TFA Euro bets lost $1,000 but the Draw bets which I use with the other models to create a sort of Draw combo model continued to do well with $3,100 profit. I did not believe I would be knocking on $500,000 profit so soon. As I keep saying and expecting, a horror run is just around the corner and I’ll give back a lot of the profit made over the last month. But we start fresh again today and there is also no reason that another week just like this one happens. I do expect variance to kick in one season and for me to make 5% ROI over the year, boy what a year that would be. I keep telling myself to enjoy it while it lasts, but it seems I am pessimistic when winning and optimistic when losing. Damn lizard brain. Hi Steve, interesting blog and congrats for winning. 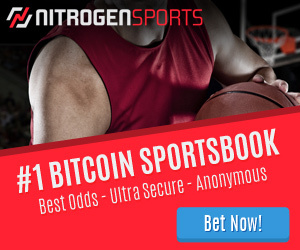 I have recently stumbled upon a very good betting website, high limits and no restrictions. Am I allowed to mention it here? I’m not an affiliate of them, I just think people should know about it. I’m unable to use it because they don’t accept uk clients (tax reasons).